WHAT'S NEW ABOUT THE NEW FAT FLUSH PLAN? For over 25 years, Fat Flush has helped millions of people lose weight, harness the healing powers of foods, reignite metabolism, fight cellulite, and restore the liver and gallbladder while improving their lives. Now, for the first time since its original publication, the acclaimed New York Times bestseller has been revised and updated with groundbreaking research, food options, and lifestyle choices to help you achieve lasting weight loss and wellness. 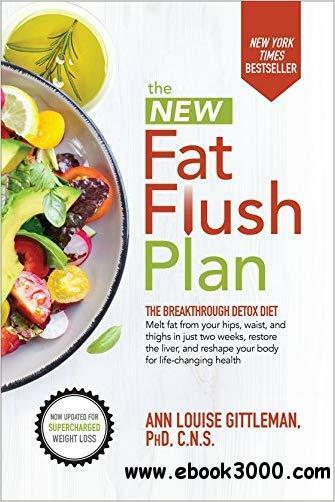 Like its pioneering predecessor, The NEW Fat Flush Plan offers evidence-based detox and diet strategies that are simple, safe and effective, with a heightened emphasis on the role of liver health and the metabolic impact of foods. The best detox plan just got better. Best of all, you will see and feel the difference in just three days!